In 1905 Ellen White described the diet our Creator chose for us as a balanced plant-based diet including foods such as grains, fruit and vegetables, and nuts (1). Such a diet provides physical and mental vigor and endurance. She also recognized that such a diet may need to be adjusted according to the season, the climate, occupation, individual tolerance, and what foods are locally available (2). The General Conference Nutrition Council (GCNC) therefore recommends the consumption of a balanced vegetarian diet consisting of a rich variety of plant-based foods. Wherever possible those should be whole foods. Thousands of peer-reviewed research papers have been published over the last seven decades validating a balanced vegetarian eating plan. With so much support for our advocacy of vegetarian nutrition we have no need to fortify our well-founded position with popular anecdotal information or flawed science just because it agrees with what we believe. The methods used to arrive at a conclusion are very important as they determine the validity of the conclusion. We must demonstrate careful, transparent integrity at every turn in formulating a sound rationale to support our health message. It is with this in mind that we have carefully reviewed the book, The China Study (3). This book, published in 2004, was written by T. Colin Campbell, PhD, an emeritus professor of Nutritional Biochemistry at Cornell University and the author of over 300 research papers. In it Campbell describes his personal journey to a plants-only diet. He is to be commended for adapting his own lifestyle when he encountered evidence showing the benefits of a vegetarian diet. He has bolstered the vegetarian cause in promoting the health benefits of a plant-based diet and encouraging an increased intake of protein from plant foods rather than from animal sources. However, it is important to recognize some of the limitations of his studies so that his conclusions are not overstated and misapplied. This is all the more necessary since the book has been used inappropriately by some vegetarians to justify and propagate their preferred dietary practices. The design of a study influences the conclusions that can be made from its results. How the data are analyzed is also very important. The China study was what is called an ecological study. An ecological study provides a “snapshot” of the study population at a given point in time. Such a study collects data on various lifestyle practices as well as health outcomes that may or may not be affected by the practices studied. Campbell acknowledges the limitations of such studies. At the Second International Congress on Vegetarian Nutrition (1993), he said, “Before presenting the initial results of this massive data set, I should make two comments on the applicability of ecological data from rural China to an American setting. First, this study is ecological, and includes 6500 individuals residing in 130 villages. Thus according to widely held assumptions, any inferences to be made concerning cause-and-effect relationships should be considered to be hypothetical only, with validations to be provided by intervention or prospective analytic studies on individuals” (4). That same year other researchers stated, “It is impossible to study ecologic analyses very carefully and come away with much confidence in them” (5). 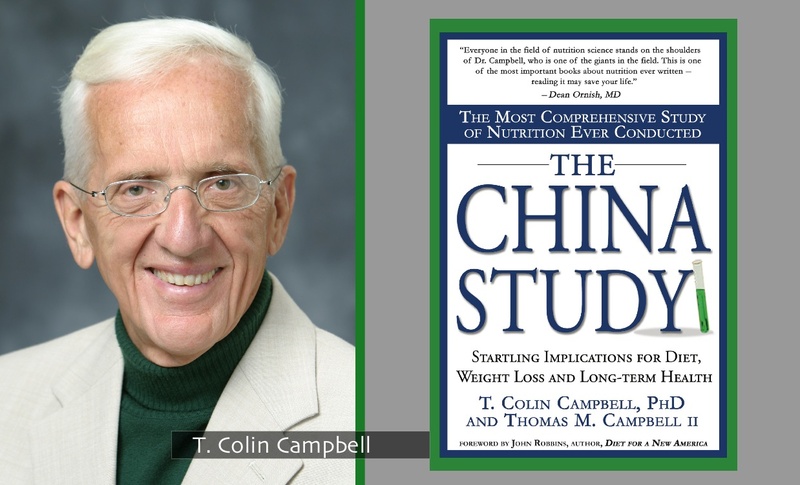 Campbell further stated, “It may not be appropriate to extrapolate diet-disease relationships across cultures.” Nevertheless, in writing The China Study he used the ecological data from China as well as studies of rats to propose an entirely plant-based diet for all people. Care must be taken in using ecological or animal data as proof that certain dietary factors cause disease in humans. Such data are best used to suggest new ideas to be investigated. It is very important that biological samples in any study are handled with great care. This study was undertaken at a time of great social turmoil and upheaval in China. Campbell’s team encountered difficulties collecting information and blood samples from the subjects. In addition, the blood samples were transported and stored under less than adequate conditions needed for a major scientific study. Concern has been expressed that prolonged storage, thawing, and refreezing of the blood samples could cause degradation of various components and affect the validity of any of the conclusions. An investigation may gather thousands of pieces of data, but it is how those data are used that is important. Campbell states, “… this project eventually produced more than 8,000 statistically significant associations” (6). He rightly notes, “Correlation does not equal causation,” and further, “if someone wants proof that a single factor causes a single outcome, a correlation is not good enough” (7) Yet, associations/correlations largely constitute the basis of his conclusions. It is well-recognized and accepted that when large numbers of tests are performed, there are always some false results. That is, if enough tests are done, it is inevitable that some will appear statistically significant when they really are not (8). We will note just two examples of such problems from the China Study. Campbell found no clear association between esophageal cancer and smoking and a negative association with daily alcohol intake. But both smoking and alcohol are known to be important risk factors for esophageal cancer (9, 10). Strong conclusions based on associations or correlations, even if statistically significant may be suspect. There is another problem with using correlations as the basis for conclusions. Based on correlations, researchers may conclude that diet factor X influenced a certain disease Y. However, there might have been another factor Z that occurred in the diet along with factor X and it might be that factor Z actually caused the apparent association between X and Y. Thus, the correlation between X and Y would be a false positive. One way to reduce this confounding is through study design. However, this is not possible in an ecological study like Campbell’s. In such cases, specific statistical methods can be used; however, there is no evidence that Campbell used these methods. In spite of recognizing the limitations of ecological studies and of correlations. Campbell draws very specific and strong conclusions. He calls them “common sense,” stating, “Realize that those seeking absolute proof of optimal nutrition in one or two studies will be disappointed and confused. . . . Absolute proof, in a technical sense, is unattainable and unimportant. But common sense proof (99% certainty) is attainable and critical” (11). Campbell is right that “absolute proof” is unattainable. But we cannot agree that “common sense” is attainable with 99% certainty. The American Institute for Cancer Research (AICR) has developed evidence-based guidelines to rate the findings of scientific studies. Without such guidelines it is easy to overestimate the strength of the research conclusions. These guidelines recognize that some studies are better designed than others and thus can produce more reliable results. The 5 categories that classify the strength of associations are given in descending order of strength as Convincing Evidence, Probable Evidence, Limited Evidence, Inconclusive Evidence, No Evidence (12). This reference is an excellent source for examining the evidence between various dietary and lifestyle practices and cancer. A major conclusion of Campbell’s book is that animal protein and particularly casein are the prime agents in causing chronic diseases, especially cancer. This claim that casein is “the most relevant carcinogen ever identified” ignores the strong international data supporting processed red meat, body fatness, tobacco smoke, alcohol, aflatoxin in moldy foods, etc. as the most important and potent agents causing cancer. The idea that one can turn off and turn on cancer growth by simply adjusting the level of casein in the diet is unfounded and much too simplistic an approach to cancer management. His conclusions are based on correlations from his animal studies, without correcting for any confounding variables. Campbell’s casein claims are in direct contrast with the conclusions presented by AICR’s Expert Panel. Using the AICR categories, the evidence supporting his conclusion would be classified as “limited” or “inconclusive”. In addition to all these cautions, research outcomes need to be replicated across gender, age groups, and ethnicities to substantiate the conclusions. This has not occurred with Campbell’s research. In the book The China Study, Campbell draws strong conclusions from inadequate data and those conclusions are based primarily on associations which Campbell himself recognizes are inadequate for proof of relationships. He appears to ignore a body of peer-reviewed research that is not in agreement with many of his conclusions. Stronger conclusions can be developed if studies that differ in their outcomes are recognized and included in the discussion. Readers should use caution when only supportive data are used to bolster conclusions. It is important to be open to evidence that is based on established research that challenges our own biases. We recommend caution in accepting all the strong conclusions found in Campbell’s book. However, there is ample evidence from many other studies to strongly support his call for a greater intake of plant foods. We strongly endorse that move towards a greater use of plant foods, which is in line with the counsel given to this Church through the writings of Ellen White, and many with professional health organizations, encouraging us to regularly consume more fruit and vegetables and whole grains, maintaining balance at all times. 1 White EG. The Ministry of Healing. Pacific Press Publ. Assn. Mountain View, CA, 1905. p 296. 3 Campbell T, Campbell TC. The China Study. BenBalla Books, Dallas, TX, 2006. 8 Kelley K, Clark B, Brown V, Sitzia J. Good practice in the conduct and reporting of survey research. Int J Qual Health Care 2003;15(3):261-6. 9 Hashibe M, Boffetta P, Janout V, et al. Esophageal cancer in Central and Eastern Europe: tobacco and alcohol. Int J Cancer 2007;120(7):1518-22. 10 Ansary-Moghaddam A, Huxley RR, Lam TH, Woodward M. The risk of upper aero digestive tract cancer associated with smoking, with and without concurrent alcohol consumption. Mt Sinai J Med 2009;76(4):392-403. 12 Food, Nutrition, Physical Activity, and the Prevention of Cancer: A Global Perspective WCRF/AICR Washington DC, 2007.